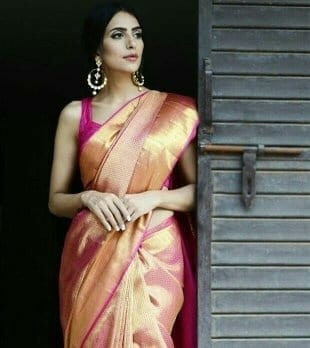 This silk saree comes in pink colour and the zari is woven all over the saree like net screen design. 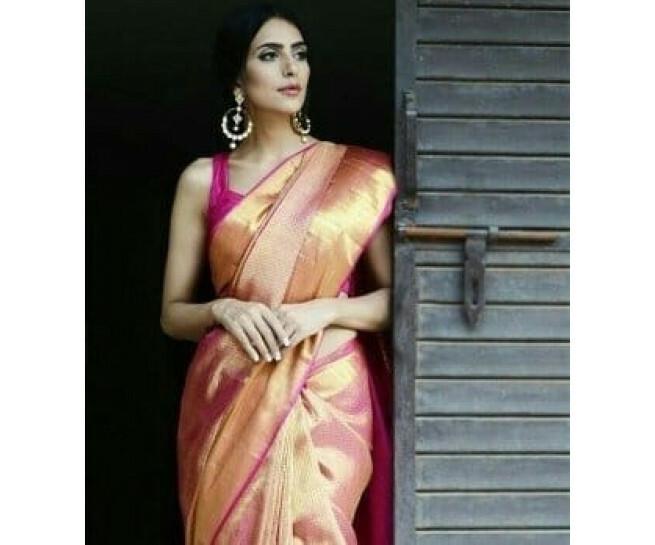 Border comes in banarasi design with gold zari all over it. Get 10% discount by clicking the facebook symbol to the right. Log in to your facebook account and click "post to facebook". For any doubts please whatsapp us +919677063537.